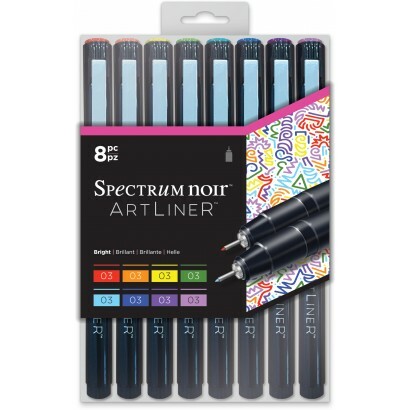 ArtLiner fine line pens are ideal for sketching, outlining, coloring fine detail, and lettering. Available in various line widths along with a versatile fine brush point. This set contains multi colors of 03 fine tip.